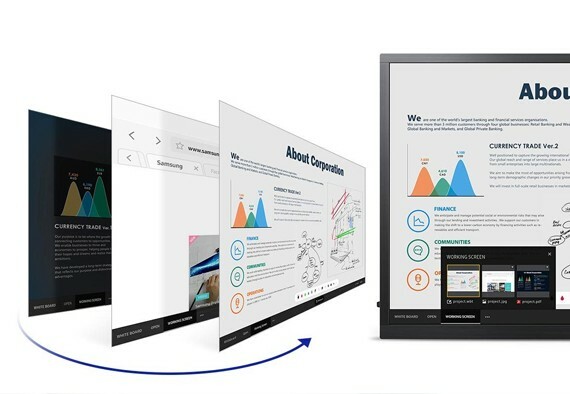 With more employees and students participating remotely in collaborative conversation, today’s meeting rooms and classrooms require displays with capabilities exceeding those offered by legacy projectors and analog boards. A more versatile and interactive alternative ensures that both facilitators and leaders remain engaged and attentive, and eliminates common productivity hurdles. 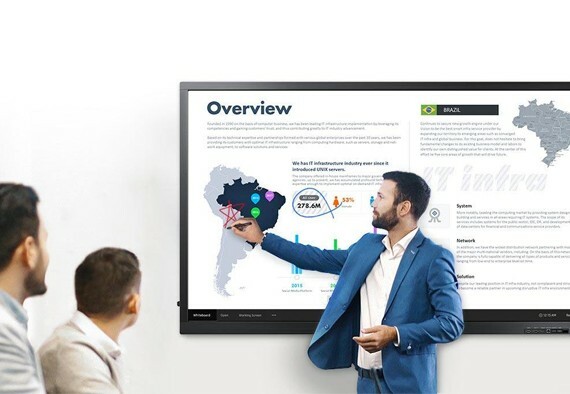 Samsung’s QBH-TR Series interactive whiteboards elevate information sharing and drive stronger conversation within an all-in-one format. 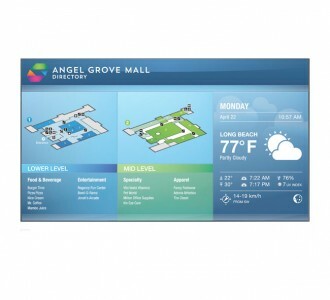 The displays enable simultaneous real-time interaction, with all participants able to make notations and introduce new content from any location. 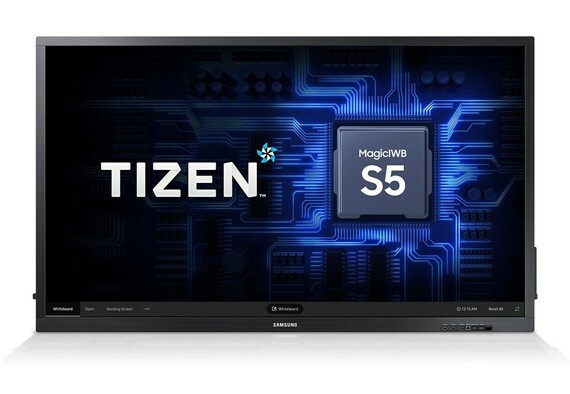 Within the QBH-TR Series displays, refined touch technology, the intuitive MagicIWB S5 management platform and UHD picture quality come together to facilitate more effective interaction. 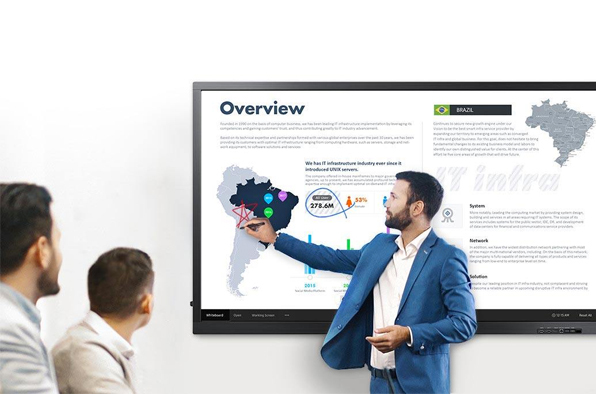 With the QBH-TR Series displays, businesses and classrooms can focus more on generating impactful ideas and exchanging information and less on the frustrations and logistical obstacles that often accompany collaboration. The QBH-TR Series provides a smooth, fully-functional digital writing experience in an intuitive format. 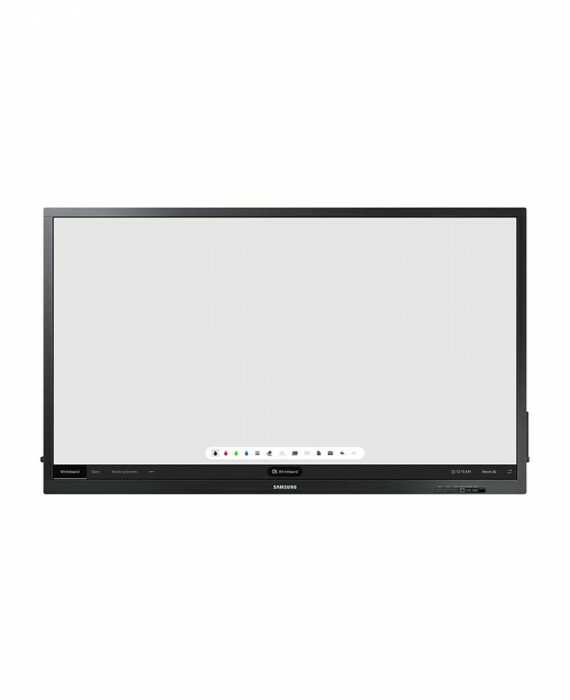 Up to four different participants can make simultaneous notations on the central screen, using either dedicated pens or touch interaction. 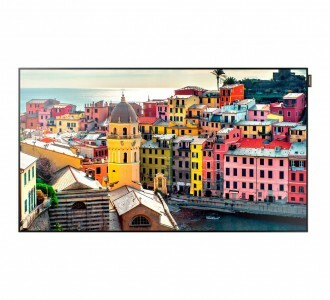 Each QBH-TR Series display offers dedicated HDMI, DVI-D, DP and USB ports where users can share and revise content from connected personal devices. Through the Working Screen feature, users can quickly alternate between multiple screen sources in just a few quick touches. 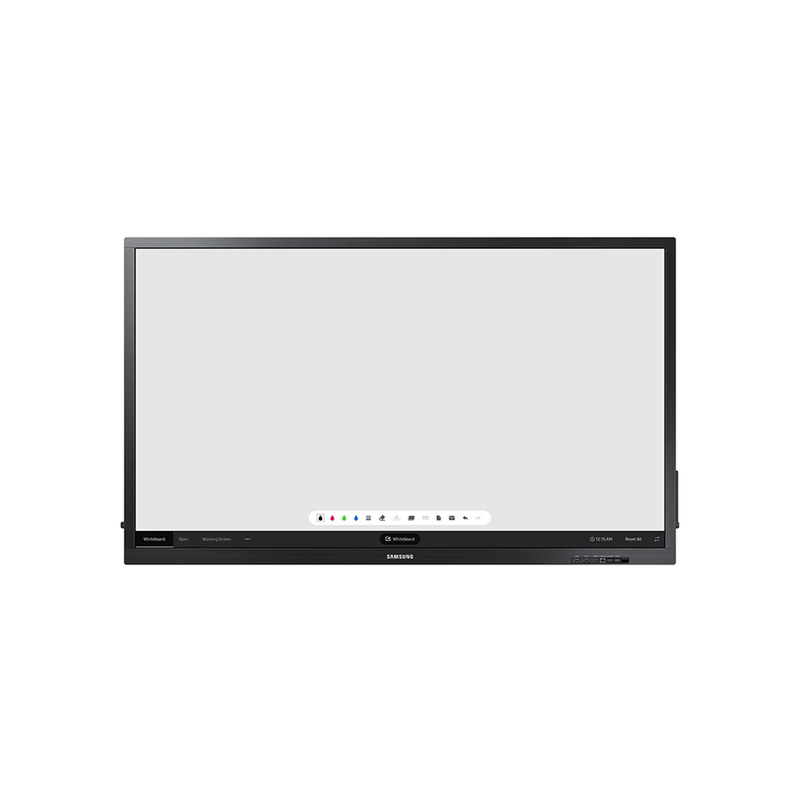 Remote workers can stay involved in conversations through the QBH-TR Series’ seamless laptop streaming. 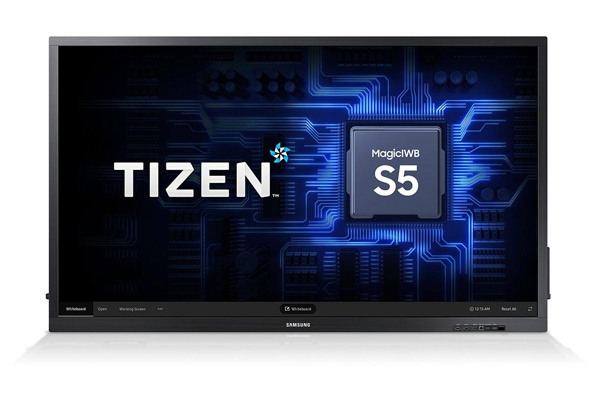 Facilitators can work with all participants to access and upload content without sacrificing UHD picture quality or ultra-high resolution. 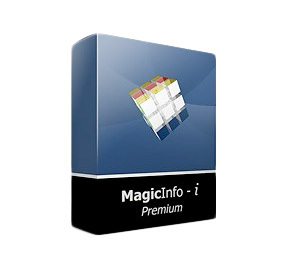 Participants also can trust the displays’ integrated Knox security system to prevent information leakage and external interference. 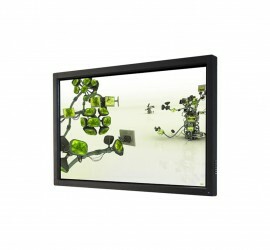 Tags: eboard, eboard touch screen, interactive touch panel, interactive touch screen, interactive touchscreen, qb65h-tr, samsung, samsung australia, samsung interactive eboard, samsung melbourne, samsung qb65h-tr, touch screen, touch screen australia, touch screen melbourne, touchscreen, touchscreen australia, touchscreen melbourne.